Owners will be the first to tell you that every colt, mare and foal is different, both in terms of general health and overall temperament. But one thing rings true across the board: A healthy horse is a happy horse. Knowing what to feed them, when to take them to the vet and how to check for subtle injury or illness are essential to being a horse owner. So what’s the golden rule when it comes to horse care? Just like with humans, it’s all about moderation. This is true of just about every facet of care, but knowing what is too much or too little depends on the unique needs of each horse. Working closely with your veterinarian to identify risk factors is the only way to stave off major health issues and keep your horses running at peak performance. That being said, there are a few general equine rules of thumb you can practice on your own. The volume and quality of your feed is an important part of regulating your horses’ overall well-being. Maintaining a safe balance between grains and roughage (like hay and pasture) is the best way to promote digestive health and protect against chronic illness. Feeding your horse too much grain can lead to life-threatening conditions, such as colic and laminitis, so it’s important to regulate intake accordingly. Typically speaking, the amount of feed given to each horse should correspond to its weight and level of exercise. It’s also important to avoid cheap hay and low-quality commercial grain, as they often lack the nutrition needed for a sustainable diet. Much like food intake, exercise is an important necessity that directly affects your horses’ health. In moderation, regular exercise helps to keep a horse healthy and cheerful. Giving them time to roam and graze freely can promote metabolic well-being and ward off inflammation related to inactivity. Leaving your horses in a stall for extended periods can lead to issues with blood circulation and digestion, so be sure to give them a taste of freedom on the daily. If you’re an equestrian, it’s best to avoid overworking your horse as too much exercise is just as bad as too little. Over-exertion can lead to chronic pain and inflammation in the legs and hooves, or more serious joint-related injuries. 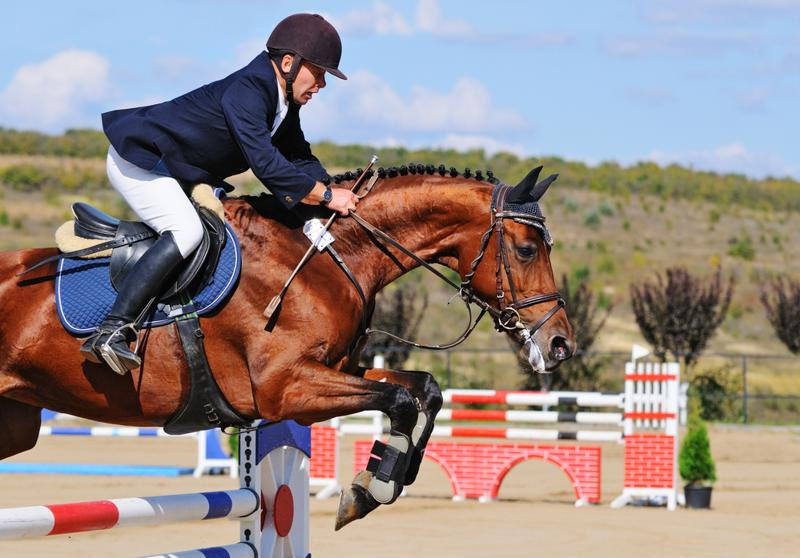 Luckily, joint nutraceuticals have been shown to improve and maintain a horse’s joint health, but that isn’t a reason to overdo it. 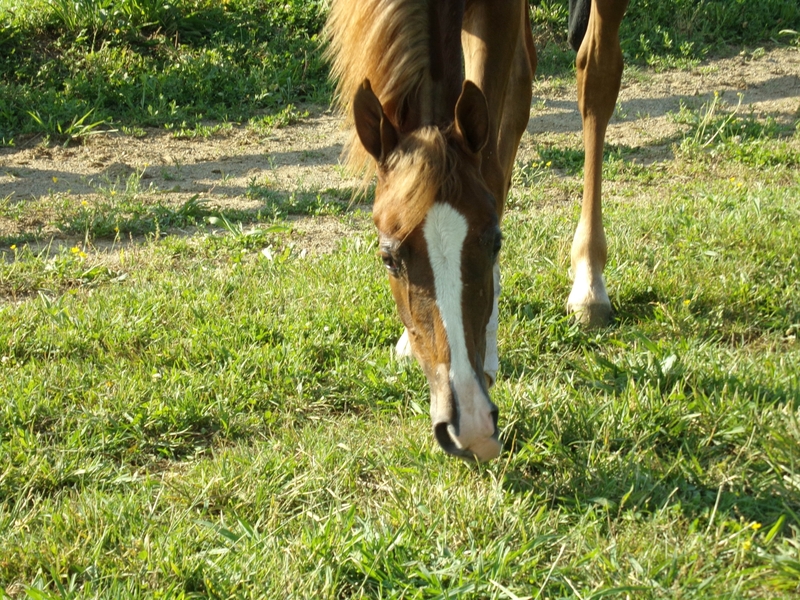 Keep your competition horses in the race by supplementing their diet with Iron Power! Unfortunately, even if you take perfect care of your horses, it’s likely they will become sick sooner or later. That’s why taking steps to accommodate the individual needs of each horse is a daily responsibility, and involves a ton of time and attention. Beyond the basic food and exercise concerns, horse owners should also look out for signs of chronic illness and disease. One of the most devastating illnesses to watch out for is equine anemia, which ranges in severity depending on the root cause. In general terms, the source of equine anemia falls into three categories: blood loss, infection, and mineral and vitamin deficiency. Before we discuss how to spot and treat these root causes, let’s first recap what equine anemia means. If your horse is exhibiting one or more of these symptoms, the best course of action is to call in your veterinarian for a check-up. Depending on the root cause, nursing your horse back to health may require medication, rest and/or vitamin supplements. In the interest of preparation, let’s go over a few of the main causes of equine anemia and how it’s treated. One way equine anemia can develop is from blood loss related to an injury. Typically, minor scrapes will not lead to anemia if the wound is dressed and treated in a timely fashion. The best course of action in this case of serious injury is to partner with equine health professionals to stop the bleeding and develop a recovery schedule. Depending on the amount of blood lost, your veterinarian may suggest adding iron and B12 to your horse’s diet. The most devastating form of anemia is equine infectious anemia, which is usually contracted when a horse is bitten by an infected mosquito, horse fly or other insect. Due to the high potential for the illness to spread, it is common practice to isolate the horse from other animals to prevent a larger outbreak. At present, there is no known vaccine or treatment for EIA, and though some horses are able to survive the acute phase of the infection, the United States Department of Agriculture (USDA) requires euthanasia or lifelong quarantine for horses testing positive for the viral disease. Unlike the more acute forms of equine anemia, horses that suffer from mineral and vitamin deficiencies can be treated without too much disruption. Adding extra nutrition to your horse’s’ diet can help boost blood counts and ward off many of the chronic symptoms. When it comes to promoting strong circulation and healthy blood counts, diets that are high in iron and B12 are your best bet. Just like with general feeding practices, adding dietary supplements should be done in moderation. Iron Power® is a daily supplement used to prevent iron deficiency anemia and promote capillary health in horses. This supplement contains high levels of iron and B12 to support your horse’s blood circulation and promote healthy liver, brain and nervous system activity. Normally, B12 is naturally produced by the bacteria in a horse’s hindgut when fibrous foods, like hay and grass, are being digested. If your horse’s hindgut has been compromised, the bacteria may not be producing enough B12, which may lead to other chronic illnesses down the line. This nutritive supplement is great for foals and competition horses at risk of developing chronic anemia. The added iron can supercharge your horse’s immune system and promote healthy blood circulation in the long-term. If you’re looking to better meet the unique dietary needs of your horses, learn more about how Iron Power® can keep them healthy, happy and ahead of the competition.